Hello. I had a yellow tint on the whole monitor. Especially good video is the yellow spot in the highlighted area. What could it be? White balance is now incorrect. Being a 7 year old monitor. No telling how many operating "hours" are on it. Looks like you have some image retention and also some yogore/mura smearing defect. You can try to run the LCD Conditioning (page 30). But it may not help this old monitor. Might be time to replace it. Did not help. Replace the matrix? Where can I buy a matrix? Or it can not be changed? Don't know what you mean by "matrix". I think you mean the panel itself. Dell does not repair monitors, sell monitor components, or have disassembly documentation. Your only option is to look for spare parts on eBay or craigslist. 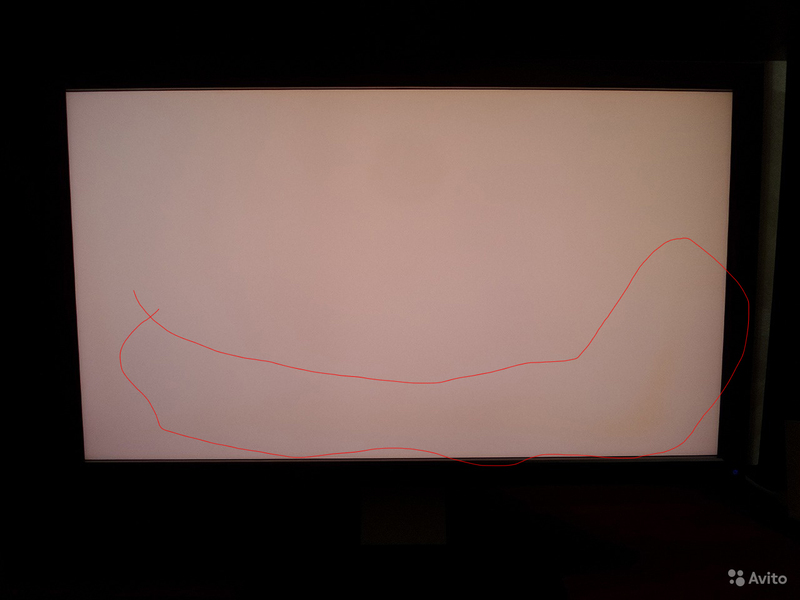 Dell *** samsung and lg sell panels for replacement in monitors, and you are not!